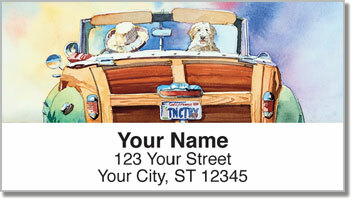 If you know a hassle, and what a treat it is, to bring your dog on vacation then you'll love these watercolor Doggie on Board Address Labels. With their wet noses and fur whipping in the wind, it's clear that these pups and excited to be on vacation. Who knows what they'll encounter in their travels? Let's hope that it's friendly and they know enough to stay away from skunks and porcupines. 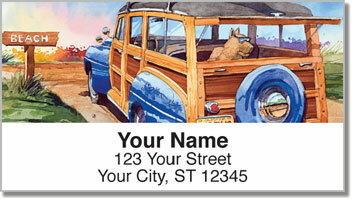 Share this little piece of nostalgic joy through these high quality, glossy address labels. 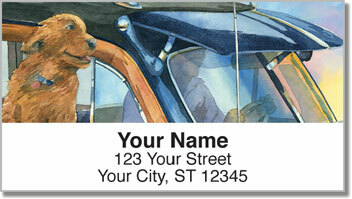 Simply peel and place to give a personal touch to your next letter that's sure to resonate with whoever looks on it. 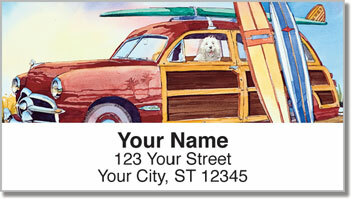 Celebrate the dog days of summer, and the dog days of vacation, with these gorgeous address labels today!